Ann Bancroft is one of the world's preeminent polar explorers and an internationally recognized leader dedicated to sharing stories from her expeditions to inspire youth and people around the world to follow their dreams and create change. Ann is the first known woman to cross the ice to both the North and South Poles, led the first American women's crossing of Greenland east to west and became the first woman to ski across the continent of Antarctica with Norwegian explorer Liv Arnesen. Their Antarctic journey was followed by 3 million kids around the world and inspired Bancroft Arnesen Explore, a partnership continuing to blend exploration with education and inspire youth by sharing lessons learned under some of the harshest and most rapidly changing natural environments on Earth. Ann's teamwork and leadership skills have undergone severe tests during her polar expeditions and provided her with opportunities to shatter female stereotypes. The tenacity and courage that define her character have earned Ann worldwide recognition as one of today's most influential role models for women and girls. Ann was invited by President Obama to the White House to emphasize the President's message calling for an international response by addressing 300 change makers from 25 nations at the White House Arctic Science Ministerial in an effort to energize communities (2016). Ann was inducted into the National Women's Hall of Fame (1995), named Ms. Magazine's "Woman of the Year" (1987); Glamour Magazine's "Women of the Year" (2001) and is honored in Minnesota Historical Society's permanent exhibit, "MN-150" honoring 150 people places and things that have shaped Minnesota along with gear from Ann's historic expeditions. Ann's passion for exploring our natural world is matched by her enthusiasm for teaching children. After earning a Bachelor of Science degree in physical education from the University of Oregon, Ann taught physical and special education in Minneapolis and St. Paul, Minn. schools and coached various high school sports. Ann founded the Ann Bancroft Foundation, a non-profit organization that empowers girls to imagine something bigger and helps them reach their full potential. 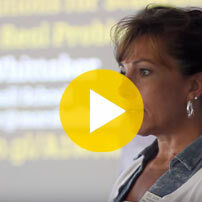 Ann's experiences and work has inspired classrooms to corporate leaders, teams and communities, alike. Ann co-authored "No Horizon is So Far" book, "Poles Apart" educational film and curricula; "Dare to Dream," "Pathways to Peace," the "Water Challenge Badge" with United Nations and World Association of Girl Guides and Girl Scouts and the Bancroft Arnesen Explore Girl Scouts of the USA badge program to share the lessons she learned in these remote and far away places and empower youth to lead and create a better world. Ann's expeditions have been followed on BBC, CNN, Today, Good Morning America, National Public Radio and featured in Time, People, USA Today, Ms., McCall's, Vogue, Good Housekeeping, Glamour, National Geographic, Outside and Sports Illustrated for Kids. October 2015 — Bancroft launches Access Water with a 60-day Ganges River expedition, bringing together an international Team of women representing every continent to explore the complex stresses on our world's water, collaborating with students around the world. February 2001 — Bancroft and Norwegian polar explorer Liv Arnesen become the first women in history to ski across Antarctica's landmass — completing a 94-day, 1,717-mile (2,747 km) trek. 1993 — Bancroft leads the American Women's Expedition to the South Pole, a 67-day expedition of 660 miles (1,060 km) on skis by four women, earning the distinction of being the first woman in history to cross the ice to both the North and South Poles. 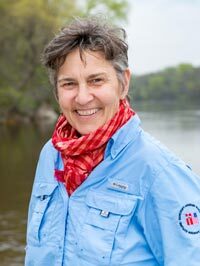 1992 — Bancroft leads the first American women's east to west crossing of Greenland. 1986 — Bancroft dogsleds 1,000 miles (1,600 km) from the Northwest Territories in Canada to the North Pole as the only female member of the Steger International Polar Expedition, earning the distinction of being the first known woman in history to cross the ice to the North Pole.